The country is now officially under a new administration, and Filipinos are hopeful that indeed, "Change is coming", one of the battlecries of President Rodrigo Duterte. President Duterte took his oath as the 16th president of the Philippines at exactly 12:00 noon on June 30, promising to be tough on criminality and corruption. I know that there are those who do not approve of my methods of fighting criminality, the sale and use of illegal drugs and corruption. They say that my methods are unorthodox and verge on the illegal. 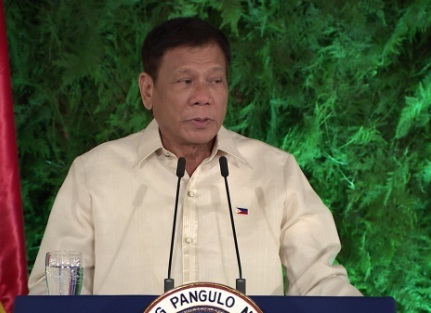 Despite his previous pronouncements that are being criticized by human rights advocates, for its emphasis on "kill" orders especially against drug lords and drug users, Duterte assures he will stick by the law. As a lawyer and a former prosecutor, I know the limits of the power and authority of the president. I know what is legal and what is not. My adherence to due process and the rule of law is uncompromising. For a lot of people, those statements are enough to quell the fear of a rule that might just be marred by accusations of extra-judicial killings. But for human rights groups, this will mark the start of their vigilance, over any human rights violation that might happen in the next six years.